You all know I'm a sucker for a subscription/beauty box. 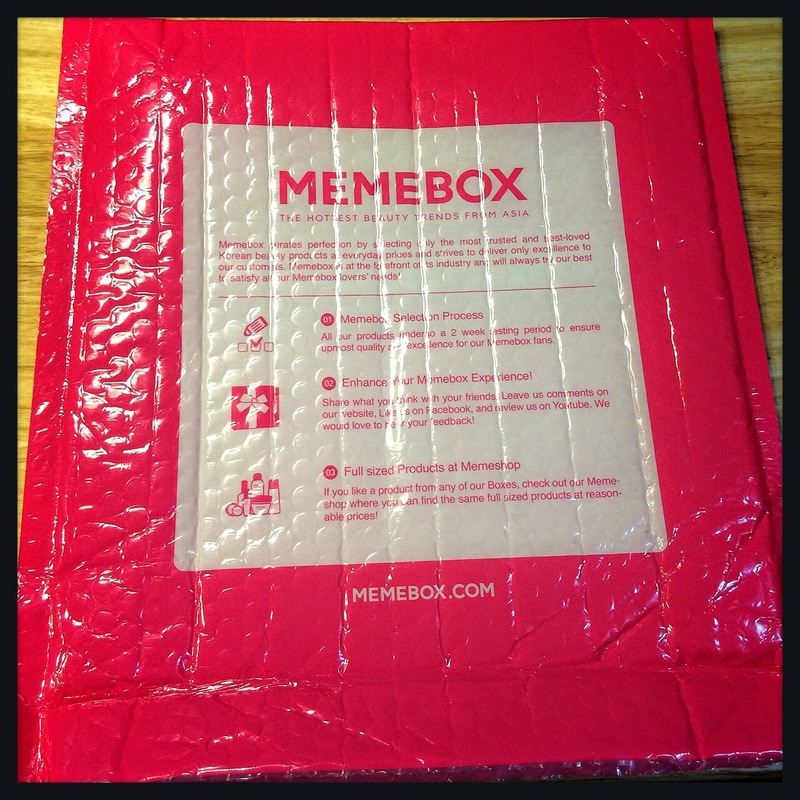 Combine that with my curiosity and fascination about Korean beauty products and cosmetics, add Memebox offering to send me a box to review, and you have one very happy camper! Have you heard of Memebox yet? They are the most popular beauty box in Korea! A while back, they started offering boxes to the US and other countries, as well! 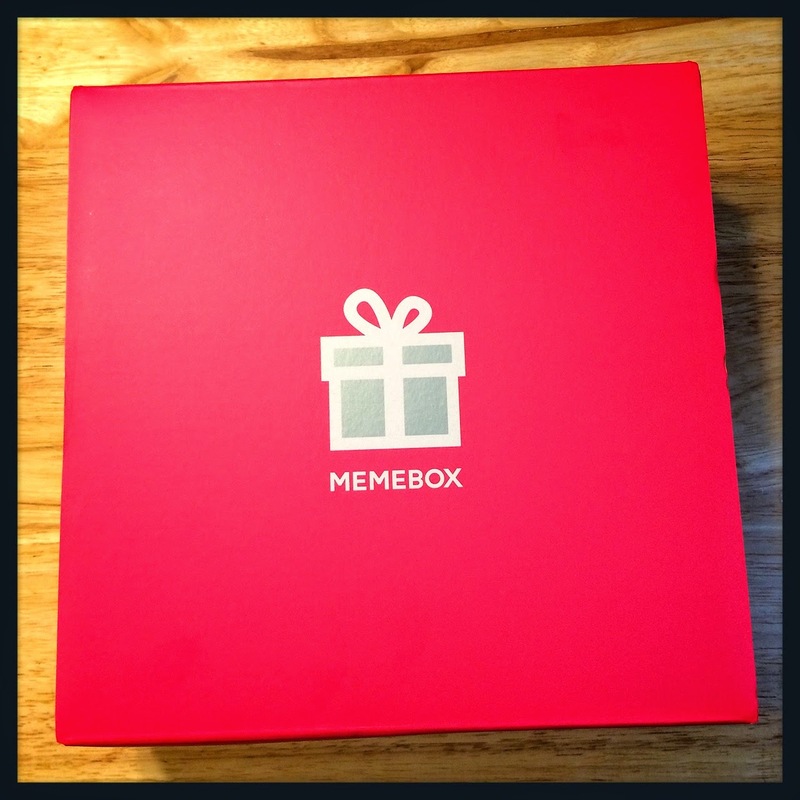 Memebox isn't really like the other boxes we have now, For one, they're not really a sub box - you order boxes from them individually, and they do not offer a recurring subscription. They offer several different types of boxes! I'll explain a little bit about each box before I show you what I received! Memebox Global: This is their "signature" box - it contains a range of products (skincare, cosmetics, haircare, body care, all fair game) and you receive 4-8 deluxe and full sized products. I'll say that most of the boxes I've seen reviewed have had closer to 8 products in them, with great sizes, and they are always a great value! I need to snag me one of these soon. THe downside is that you have to order these WAY in advance, they sell out quickly! Superbox: A superbox is a box with ALL full sized products! They also go by theme - some example themes have been The Honey Box, Makeup Edition, Yogurt Cosmetics, and Holika Holika. These are great if you're looking for full sized products. The box I received is a Superbox! 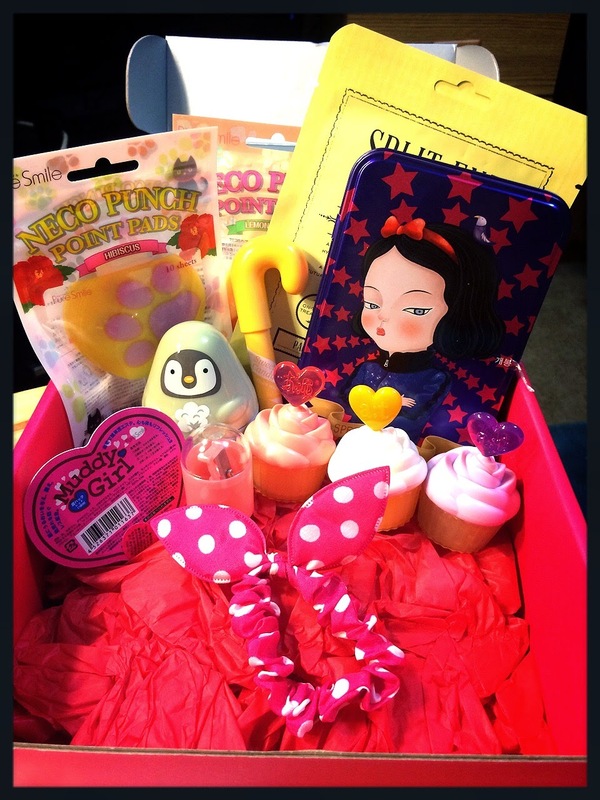 Luckybox: A Luckybox is a mishmash box containing favorite products from previous boxes. They make a great introduction to Memebox for people who are curious, or if you want to see some of the goodies you missed out on! The prices vary on most of these boxes! Memebox Global is $23 (plus shipping). Superboxes and Special boxes vary by theme, with most falling between $23 and $32. Every box I've seen from them has been a great value and I am pretty excited to try out some more. Now, onto the box I received! When Memebox said they were sending me a box, they did not tell me what the box would be! So, I was really excited and couldn't wait to see what was inside when I received that cute pink bubble mailer! 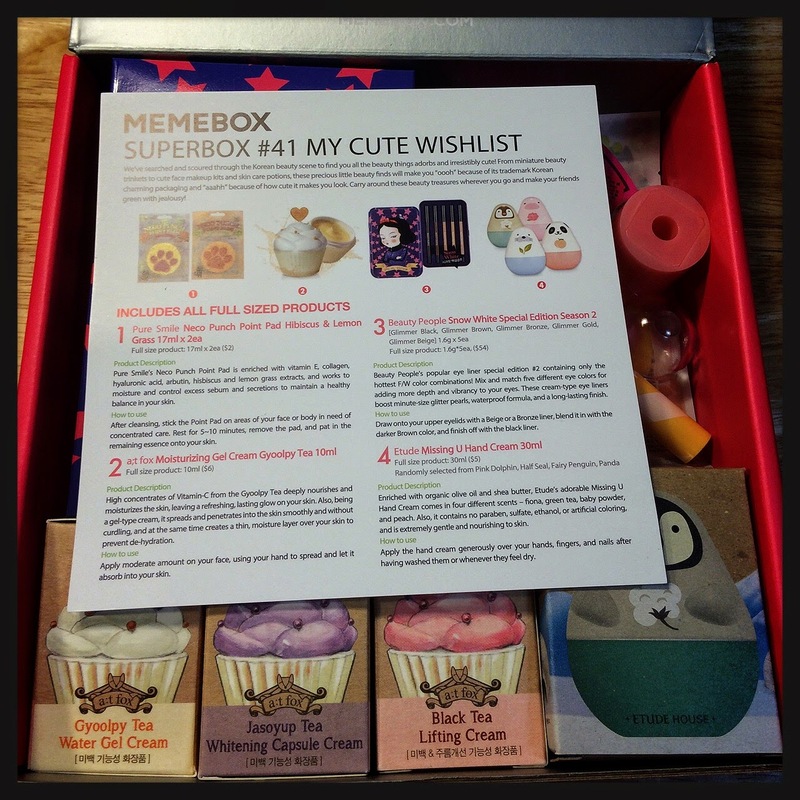 I opened it up to find that I had recieved Superbox 41: My Cute Wishlist! As a huge fan of cute packaging and products, I was overjoyed. Here's how Memebox describes this box! We've searched and scoured through the Korean beauty scene to find you all the beauty things adorbs and irresistibly cute! From miniature beauty trinkets to cute face makeup kits and skincare potions, these precious little beauty finds will make you "oooh" because of the trademark Korean charming packaging and "aahhh" because of how cute it makes you look. Carry around these beauty treasures wherever you go and make your friends green with jealousy. Sounds good to me! Immediately, I noticed how great Memebox's info card is - it has photos of each item as well as pricing, a description, and directions for use. This is great because the directions on the packaging of many of these products is, obviously, Korean! See all that cuteness under there? Here's what's inside! Etude Missing U Hand Cream - This is made with organic olive oil and shea butter. It comes in several varieties, each container shaped like an endangered species, and in four different scents! This fairy penguin contains cream scented like baby powder! I adore this. 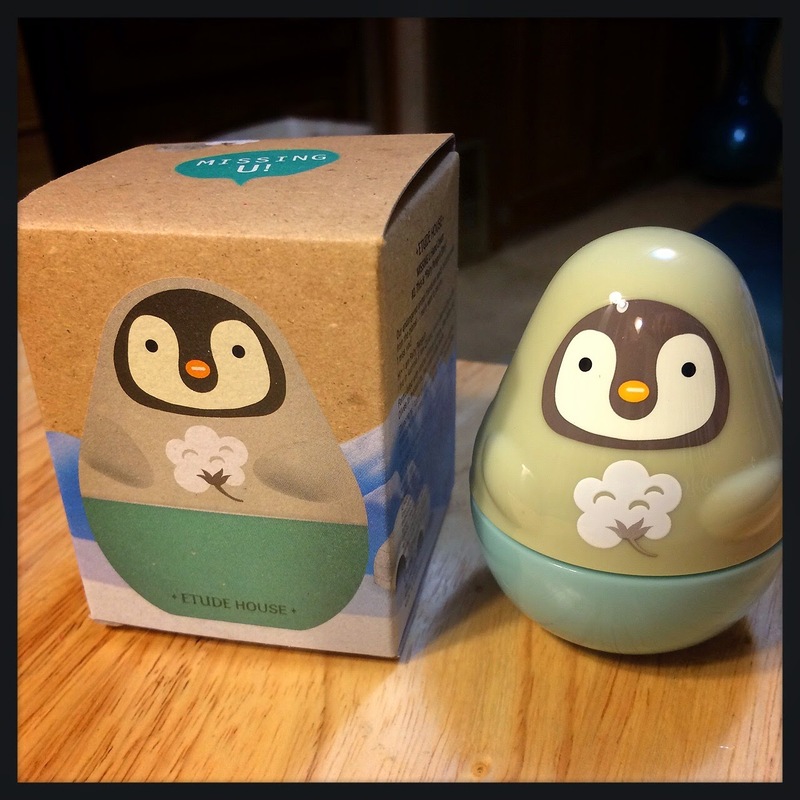 It is so cute, I love penguins and the idea of using cosmetics to raise awareness for endangered species is awesome. The handcream is nice - easily absorbed, leaves my hands soft, and the baby powder scent is soft and fresh and not overpowering. I want to collect the other 3! 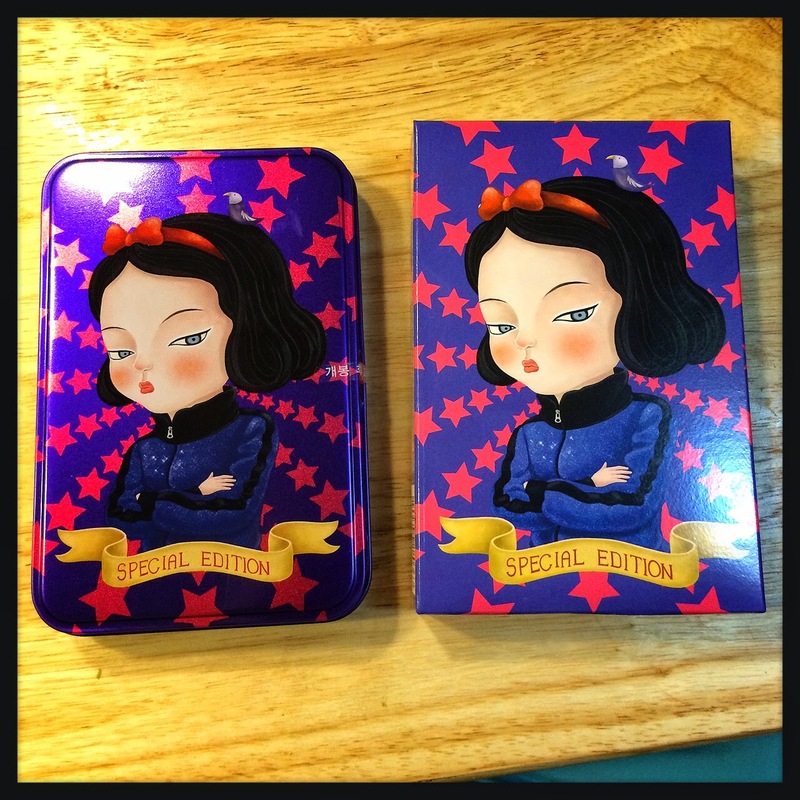 Beauty People Snow White Special Edition Season 2 - This is a set of 5 creamy, shimmery, eye pencils in an adorable tin. 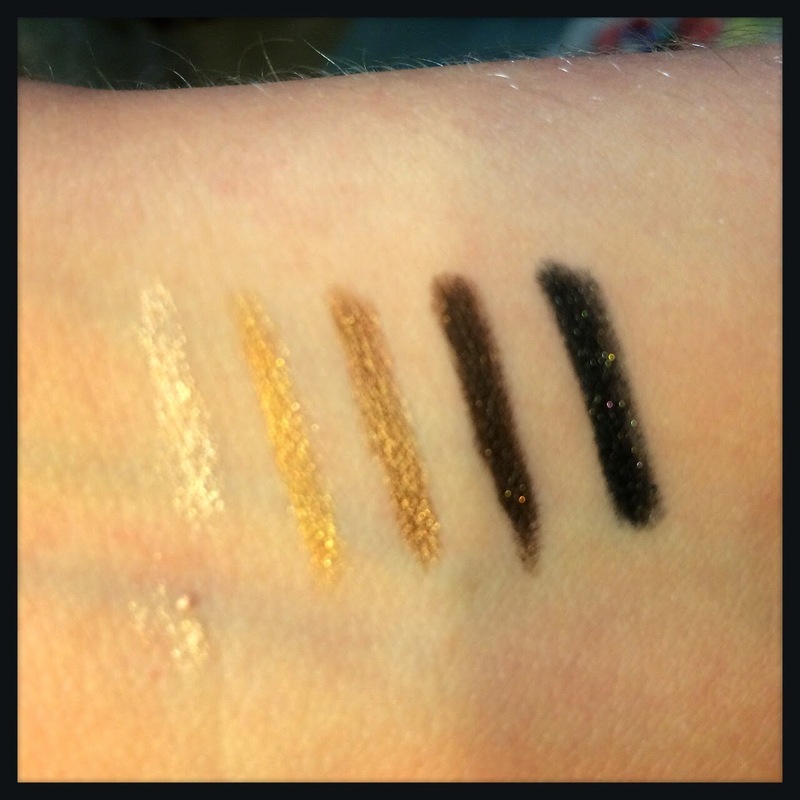 These are in the shades Glimmer Black, Glimmer Brown, Glimmer Bronze, Glimmer Gold, and Glimmer Beige. 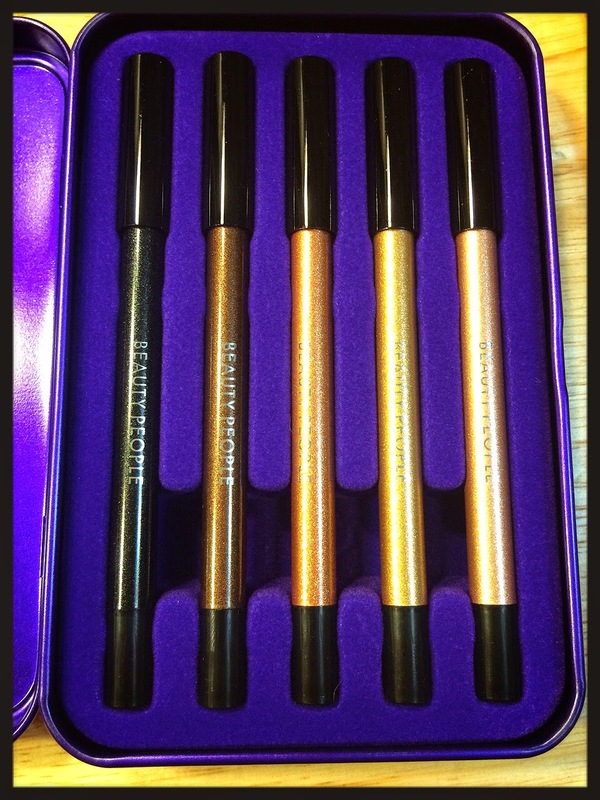 I am being honest when I say these are some of the nicest eye pencils I've ever tried! They are so soft and creamy and very pigmented. These swatches were a single stroke with light pressure! And, once they set for a few seconds, they did not budge, even with repeated rubbing and some water! I really love them and have been using them most every day! 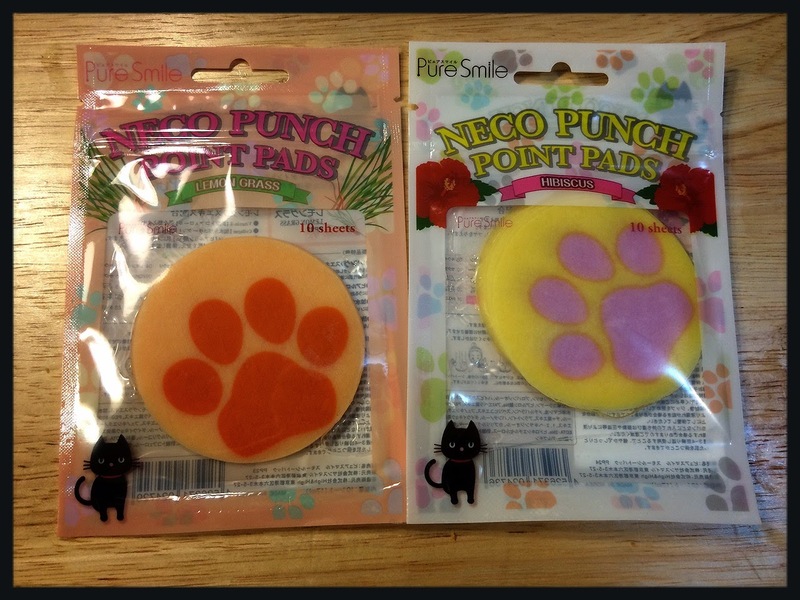 Pure Smile Neco Punch Point Pad in Lemongrass and Hibiscus - These pads are soaked in Vitamin E, Collagen, Hyaluronic Acid, and arbutin and they work to moisturize and control excess sebum and secretions. These are so cute. They're like sheet masks, only they're spot treatments. I've been using the lemongrass ones on a trouble area on my cheek, and I like the fresh feeling it leaves me with! They smell amazing, too. 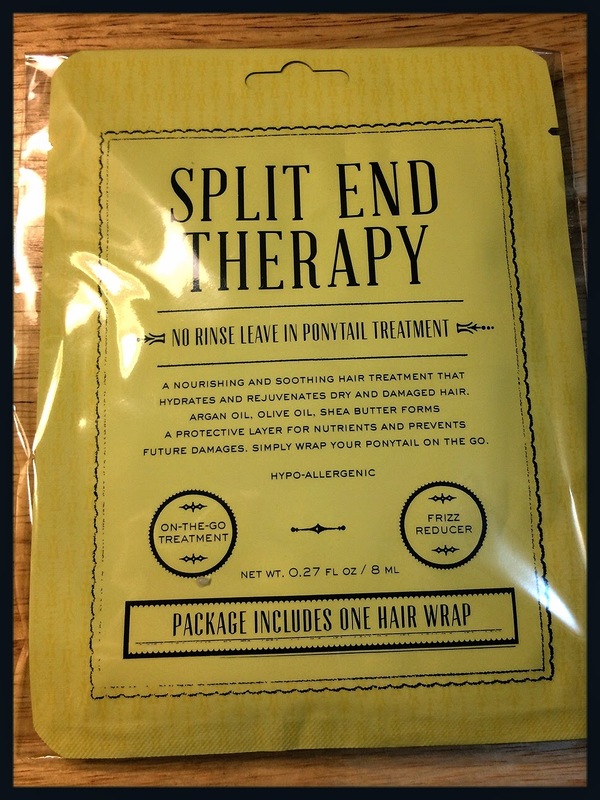 Kokostar Split End Therapy - This is a treatment with 8 amino acids that helps prevent breakage and static electricity, as well as to protect the hair and mend split ends and damage. 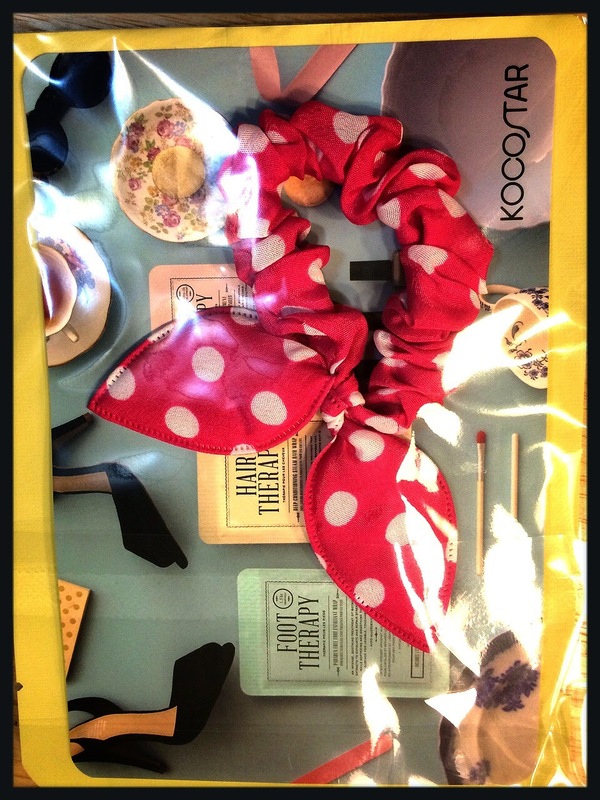 It is meant to be a ponytail treatment that you tie on with the included (adorable) hair band. My hair is currently too short for a pony tail, and while I'm sure you could use it another way, I think I'm actually going to save it until my hair grows out a bit so I can get the full effect. Really excited to eventually try this! 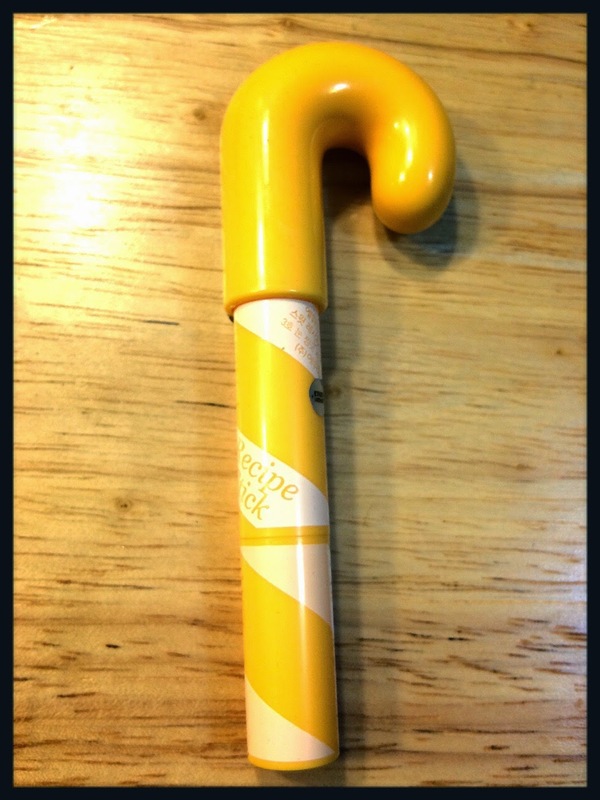 Etude Sweet Recipe Candy Stick in Sour Lemon Candy - This is a glossy lip balm/tint with a sheer color that moisturizes and contains sugarcane and sugar maple! This one, lemon, doesn't have too much tint, really just adds a hint of color, and is nice and soft and slightly glossy. It has a light lemon scent, which I love! 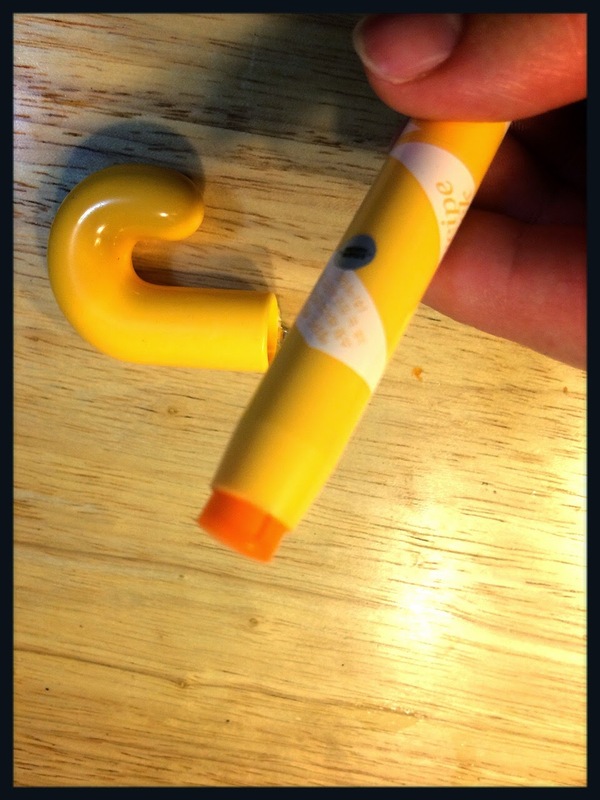 I like the cute shape - makes it easy to pick out of my bag easily. I'd be interested to see if the other flavors have more color to them, but I really like this! 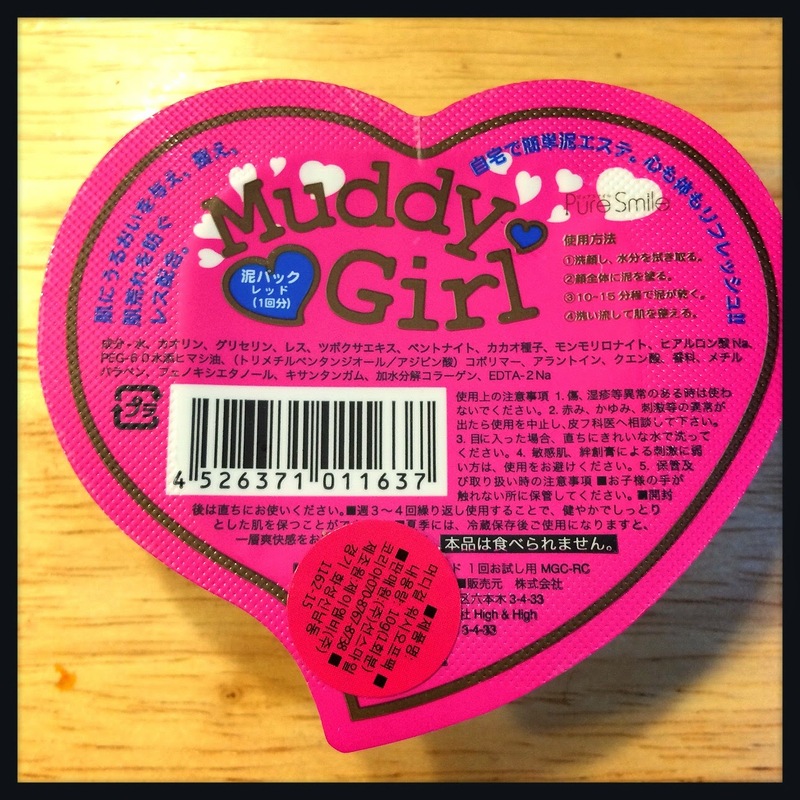 Pure Smile Muddy Girl mud pack in Red Clay - This is a mud mask that soothes, purifies, smooths, and moisturizes. It also comes in a charcoal version, but I got the Red Clay. I tried it and I really liked what it did for my skin - it made it feel nice and clean and refreshed, but not at all dried out. I'd like to get my hands on some more of these! I'm a sucker for masks. a;t fox Creams - These are three different creams - Lifting Cream, to firm and lessen signs of aging, Water Gel Cream, to moisturize and lock in moisture, and Whitening Capsule Cream to hydrate and brighten. HOW CUTE ARE THESE? 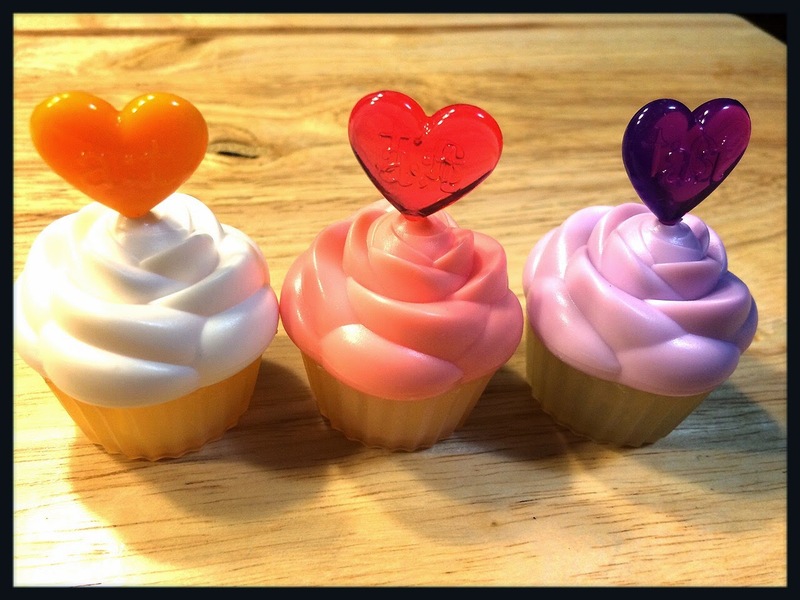 I love the little cupcake pots, and even after the creams are gone, I will be finding something else ot use them for. 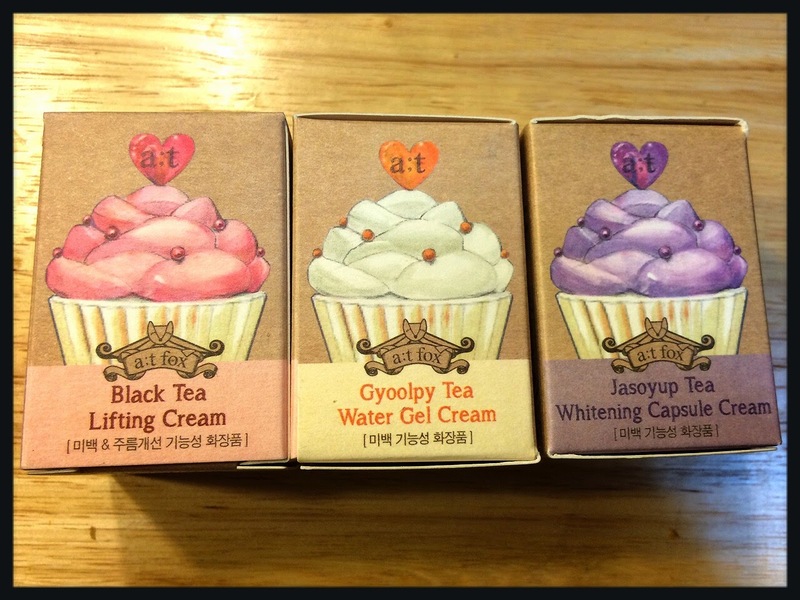 I like all three of the creams! The Water Gel cream is great - not too heavy, I like using it in the mornings. The whitening cream is a gel, and it feels nice on the skin. It's too early to tell if it brightens, but so far I'm liking it. I like the lifting cream in my undereye area, it has a great consistency and keeps that area feeling nice and moisturized. I am really impressed with all three and want to try more from the brand! 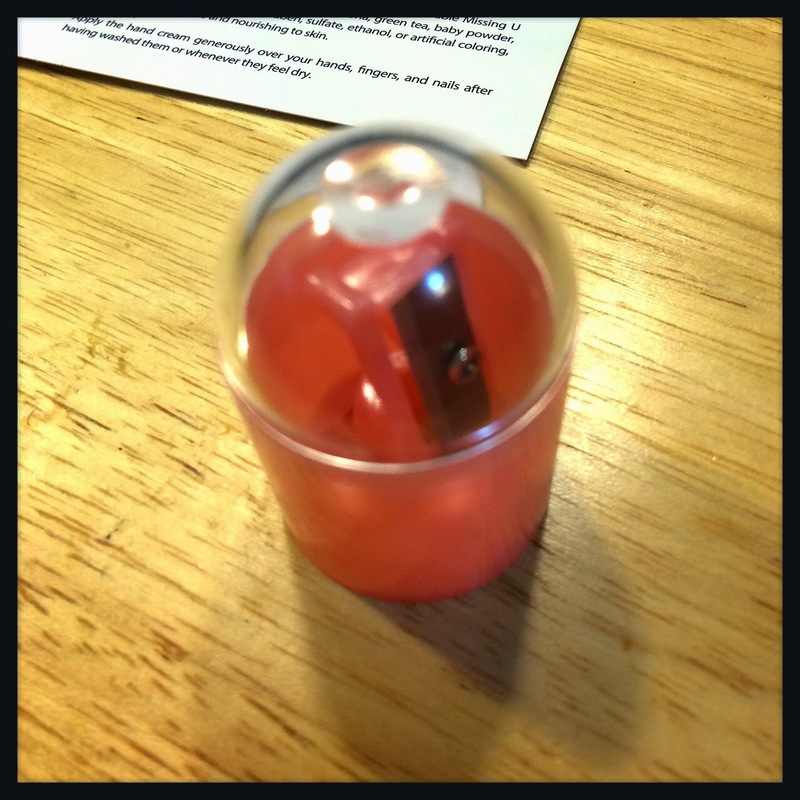 As a little bonus, they also sent a cute little pencil sharpener, which I can always use! Overall, I'm kind of in love with this box! Not only is everything absolutely adorable, but I love the range of products - hair, facial skincare, hands, makeup, lips...such a great mix. I have honestly been using everything (except the hair treatment, but I will get to that when my hair needs it!) almost daily and it's all so great. This box was sent to me for free, but it costs $23 and if I had paid for it, I would have felt like I got an amazing deal. This box is out of stock now, but they do sometimes restock boxes, and there are also new versions of the Cute Wishlist. If you like what you see, you can order boxes at memebox.com! What do you think? Have you tried a Memebox yet? *Disclaimer: This post contains products sent to me for review purposes. I was not otherwise compensated and all opinions are my own.